Designing Interactions was a great course focused on designing the interaction systems within digital products. The course taught me how to build interactions and visualize them in a way that it’s easier to communicate any design ideas between, for instance, designers and programmers or designers and developers. We also learned the different kind of interactions and theories behind them and reflected about the future opportunities and how we think interaction will evolve within future technologies such as augmented reality. How was the work rhythm for me? Designing Interactions was a different course for many reasons but maybe the most notorious for me was the working rhythm. Severi Usitalo, who was a really good teacher by the way, has a particular style of planning the course making small design sprints that aim to make the whole work process more fast and agile. Personally, I think this course was one of the most demanding but rewarding because of this. The fact of having just two weeks to pull up a small project kept us busy and focused all the time and because the projects were short and we moved from brief to brief, there was no chance you got bored. On top of this, we changed teams for every new project and this also challenged us to remain outside of any comfort zones and get the chance to work with almost every one in the class. In my case, I had really good teams which gave it all to get to very nice outcomes. 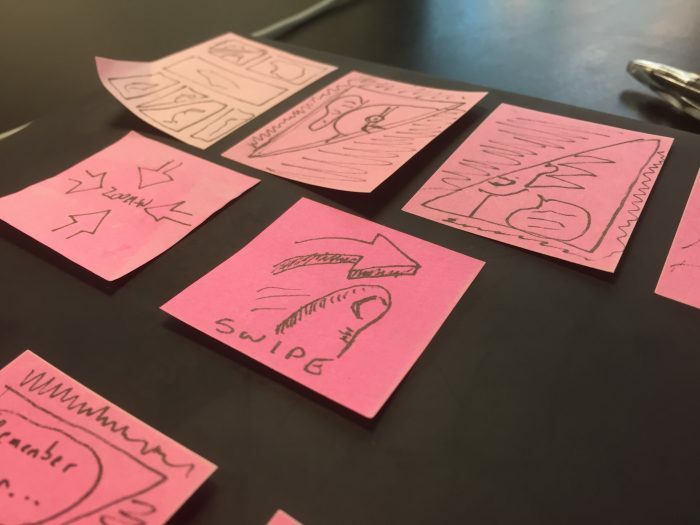 The first two weeks we focused on the basic principles of interaction design going through some principles that helped us understand how we perceive when we interact with different interfaces. 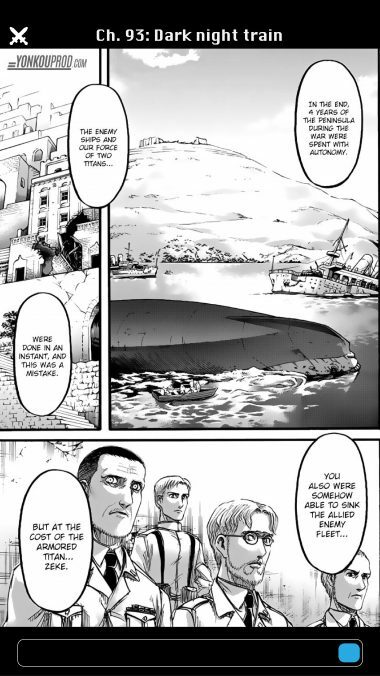 Related to this, we faced our first challenge: Creating a Manga App. The challenge was quite refreshing since none of us was really into the topic and the target user was a teenager. For a project that lasts only 2 weeks, the working process had to be quite agile so most of the members had to commit more to the work. During the process we had to try many prototyping tools, some recommended by Severi, to work on the final deliverable. Due the members’ expertise, we decided to use Illustrator and InVision to work on our prototype. Our concept was called Manga Panda and working on it was not only fun but quite challenging as this was the first time most of us were designing interaction systems. Creating the concept for an app is not only about styling and looking good but has to do a lot with usability, logic and ease to use and getting to that requires a lot of time and thinking, especially when you need to innovate when there are a bunch of apps about the topic in the market. Our concept focused on the usability and also the experience when reading the books. 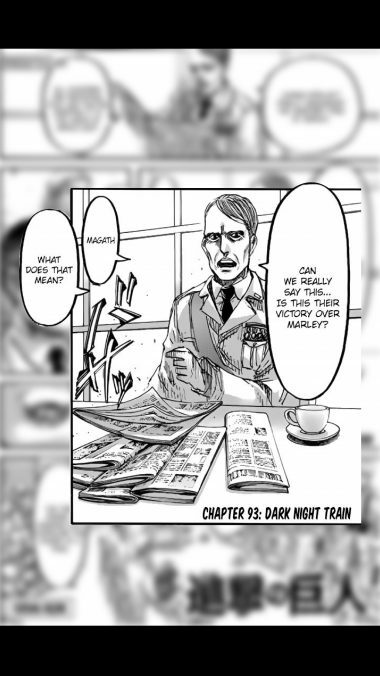 Some of the main features include a “frame-to-frame” reading mode in which the user can read the comic watching each frame separately as each can be seen as an individual artwork and a smart reference system in which you can see references or extra data about a certain character and even jump to a chapter or page. This was interesting and fun project but due the time, most of the things we thought for our concepts were just mentioned but not really implemented in the final prototype but also taught us how should we work in these projects. The second project was made in collaboration with Suunto and was the most challenging and interesting project in my opinion. In contrast with the manga app, this project had a real client and a more specific brief which made it easier from the research side. 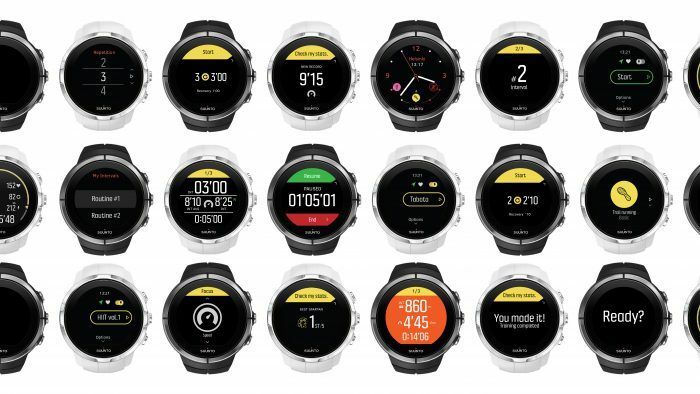 In a nutshell, Suunto required an improvement or innovative ideas to develop their Interval training mode in the Spartan watch. 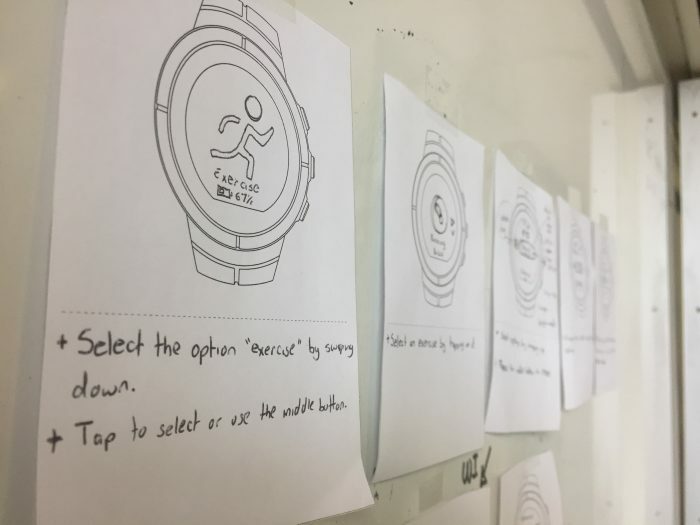 Each team was assigned a Suunto traditional user profile to work with and to give more variety to the results. Our team had the “experience-seeker athlete” user which is a pro that likes to go on adventures. This user specially is not in need of Interval training so it was quite interesting. For this project, we made a small research on interval training and interviewed and co-created with some potential users. Along with these research we had one watch to play with it and understand everything about it’s interactivity. This project allowed us to also try new methods of prototyping like Flinto. We also developed an own card method for this project. The idea was to develop the interval training as a mode rather than an option. The current models have Interval Training as an option under the main screens and access to it requires a lot of steps. Given the fact that many people use Interval Training, this is a flaw but also a good opportunity to innovate. This is how we came with the idea of making of the interval training a full mode so that the users can quickly switch between normal and interval training with just a gesture. This also because the touch feature has not been fully exploited in the Spartan Ultra watches. We also improved the communication of some information relevant to the users like the time and the heart rate with more user-friendly methods like using flashing colors to indicate when the heart rate is too high instead of detailed numbers that people might not see when doing the actual exercise. The concepts, and all the others as well, was well received by Suunto and the result was quite good. Working on this required almost full time work everyday of the two weeks and specially when one of our team members dropped the course but the results were worth it totally. The project taught us the importance of analyzing all the interactions screen by screen and to think every action before modifying or do something about it. 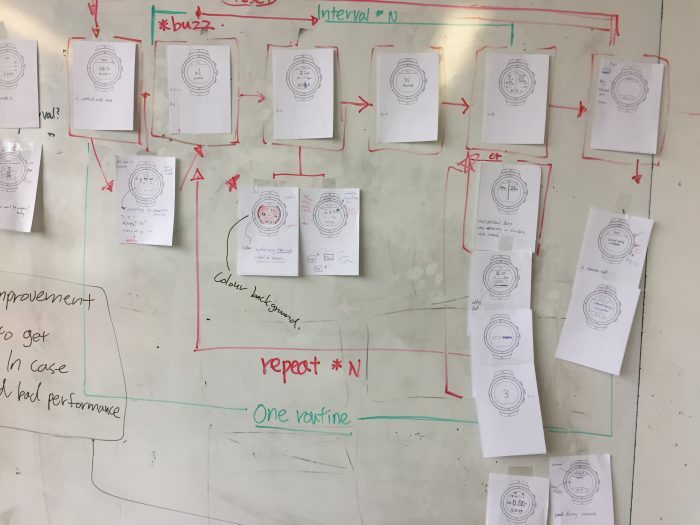 The last weeks were dedicated to understand more complex methods of interaction analysis and planning like Hierarchy Task Analysis and Keystroke Level Model and then dedicate the very last one to develop an AR idea. This last project was more relaxed but interesting and opened a good discussion on what the future can bring along with new technologies and how will it affect interaction with systems. The way we decided the “brief” was a little bit random using Scenes which is a great tool for storytelling and it was actually this same tool the one we use for our final presentation. 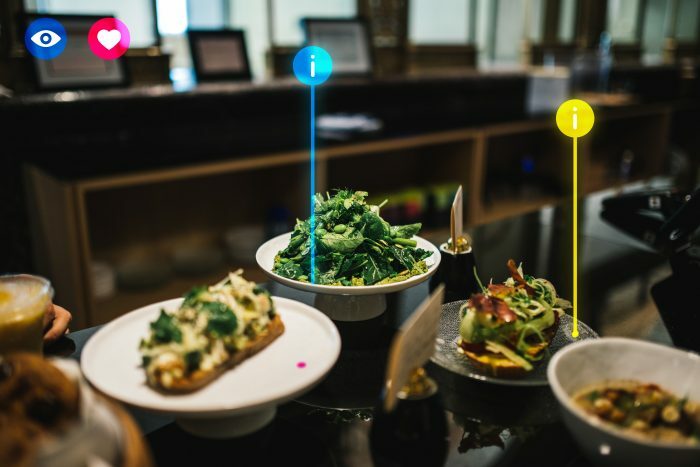 The concept focused on food waste and service in coffee or food stores. The main idea is to be an aid to, for instance, new people or people in training, and get them used to the way they should give a good service. This includes reminding them of their responsibilities and point out when food is getting close to the expiry date so they can either offer it to customers with a lower price or they can donate it to organizations that might need it. 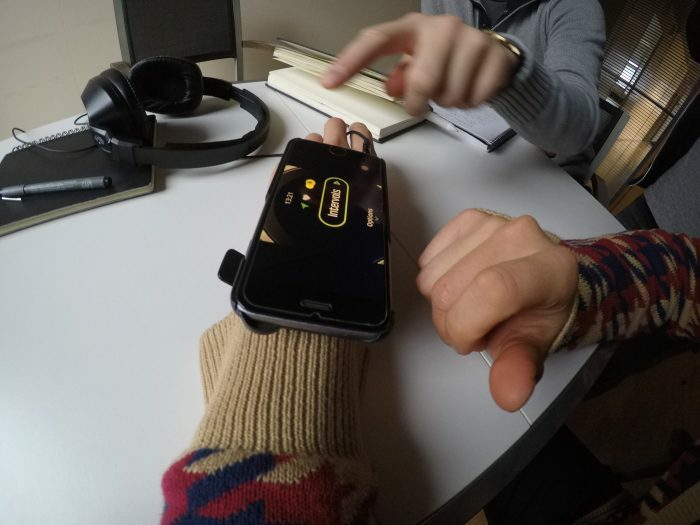 The concept was basically that, so there was no prototype and the time only allowed us to come up with screens that showed the interaction as if you were looking through the user’s eyes. This last project was perfect to close the course since the atmosphere was more relaxed and there was not many rules since it was all a reflection on what the future holds. Even though the concepts were simpler than the past projects, looking at all of them was very interesting and showed how we have evolved as designers. Designing Interactions was an awesome course not only for the things learned, but the way of learning. Getting us under these three design sprints is a glimpse of the real world scene in which lean practices and agile development works. We had great guest lecturers and very interesting projects and the chance to work with almost all of the classmates. I think that the way of working allowed us to work more effectively but also had some limits since we could not implement or work our projects further due the time scope. But overall this is a very interesting course for anyone who wants to learn more about digital interactions and it is a perfect complementary course if you took experience-driven design.